NOTE: WE DO NOT HAVE COOKING EQUIPMENT!!! Esser's Commissary is THE most affordable commissary for mobile food vendors including hot dog carts, push carts, ice cream trucks, food trailers and anyone seeking a commercial kitchen storage and cleaning facility. We are located in Durham, North Carolina. We know how important it is for mobile vendors to keep costs low, because we own and operate our own hot dog empire called Dang Good Dogs! Please note: our commissary does NOT have cooking equipment, so check with the Health Department to verify whether you can use our commissary. We cater primarily to hot dog carts, food trucks and concession trailers that sell pre-packaged ready-to-eat foods. E-mail us: esserscommissary@gmail.com or give us a call with questions! 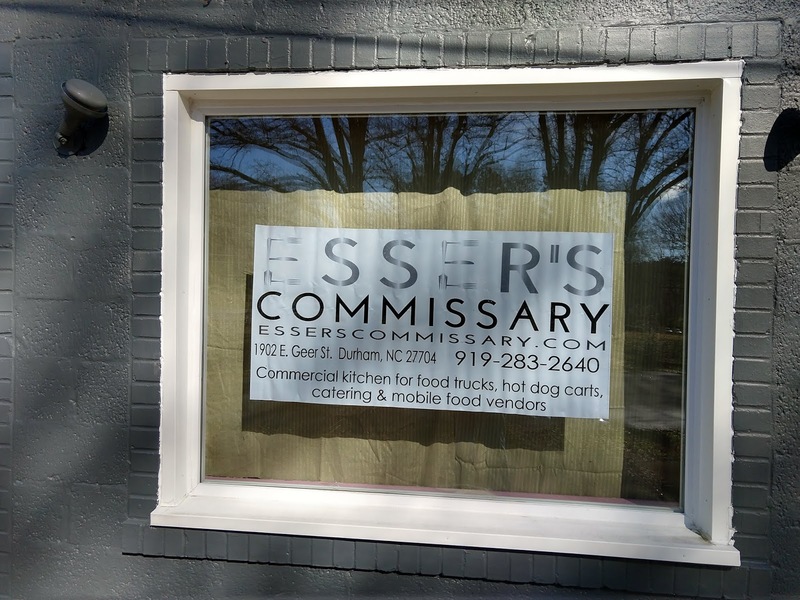 Please e-mail esserscommissary@gmail.com or call us 919-283-2640 for additional information.